MPK is based in Germany and has been manufacturing plastic injection moulded parts for well over 40 years, primarily for the caravan and motorhome industry. One focus in this respect is the production of rooflights for caravans and motorhomes and we sell these here on Leisureshopdirect. The company was established in 1973 by Horst Reichwald, initially named EL WEPLAST and MEPLA until the name was changed shortly afterwards to MPK. By 1975 MPK had started developing rooflights for caravans, manufacturing both the frame and the dome in plastic, which was actually a pioneering development at that time. It is now is a standard characteristic of rooflights. Here on Leisureshopdirect we sell a wide range of MPK Rooflights and flyscreens. In 1976 MPK was one of the first companies to make rooflights with a folding fly-net and retrofittable roller blind. Nowadays these functions are exceedingly popular in the caravan industry. A popular example we sell on Leisureshopdirect is the MPK Rooflight with Flynet and blind-beige. This MPK product is a multidirectional rooflight with an opaque, flexible double skinned dome and has outstanding reviews from our customers. MPK caravan rooflights have stood the test of time. They are both affordable and stylish, and unlike many other solutions. MPK caravan rooflights are also extremely easy to fit. Our customers often comment on this winning factor! They are renowned for providing excellent ventilation and they require very little maintenance. They are ideal ventilation solutions for both small and large caravans. MPK caravan rooflights are usually the first port of call when people decide to renovate an old caravan. Another example with perfect customer reviews is the MPK Rooflight 400mm x 400mm Opaque. In 2004 MPK saw a generation change in the running of the business, with the son-in-law of the company’s founder, Thomas Bessman taking over. This really set the stage for a bright future for MPK and several new projects followed including the new VisionVent rooflights. This was followed by several new ideas, including development of the new VisionVent rooflights. The small VisionVent S, with it’s shapely and modern clear glazed dome, was unveiled in 2005 and this launch was followed in 2007 by the larger VisionVent M pro unveiling. This also had a new clear glazed dome and a superior-quality inner frame with double pleating. Following this, 2011 saw a further MPK launch as they had developed and manufactured the Visionstar M pro motorhome rooflight. This is an extremely low profile clear glazed dome which minimises driving noise. It has a single-handed operation and has an exceedingly modern design...very impressive! Unfortunately even the best products sometimes break due to adverse weather conditions or an accident and here on Leisureshopdirect we sell MPK accessories and MPK spares. 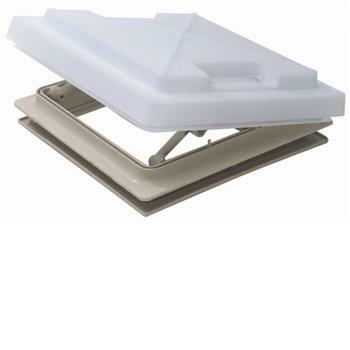 For example you may find you need Clear Dome and Handles for the MPK 400 Rooflight. On Leisureshopdirect we don’t just sell MPK spares, but parts for almost any caravan or motorhome item you may need.